I have renamed the form but in my browser (Safari) the browser tab is still showing the previous name "Rickmansworth Audition......."
Please could you help me enable Safari to displays the correct name for the form? You can change your page title from 'Form Settings' section. 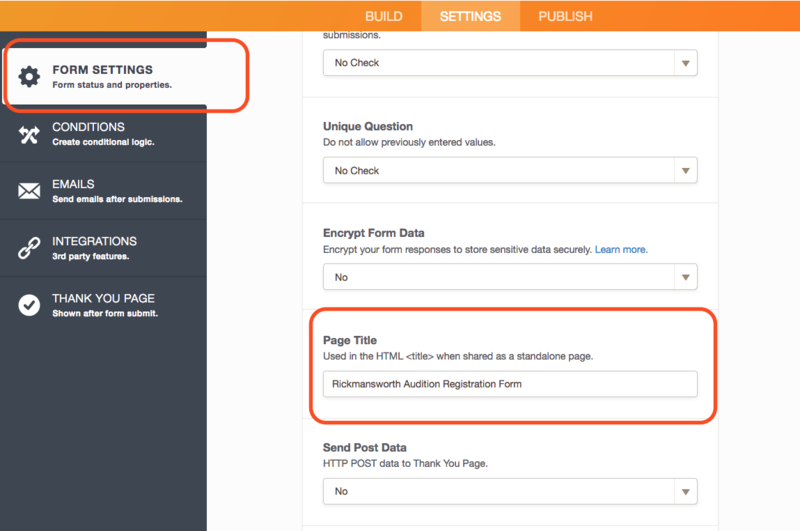 Please go to your form settings and change your page title as seen below.